In February 2016, as a part of The Free Library’s One Book, One Philadelphia program, Temple University Libraries’ Book Club read Cold Mountain. In this epic novel, author Charles Frazier details the love story of Ada and Inman, southerners, and their respective journeys to survive the Civil War and reunite with each other. Reading Cold Mountain piqued my interest in the Civil War. It turns out we have a few Civil War collections right here in the Special Collections Research Center. My favorite one is a collection of seventeen letters written by Morris Manderbach, of Berks County, Pennsylvania, to his mother. 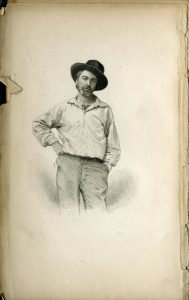 Writing home whenever he could, Morris chronicled his experiences in the Union Army, seemingly without censorship, from February to November 1864. 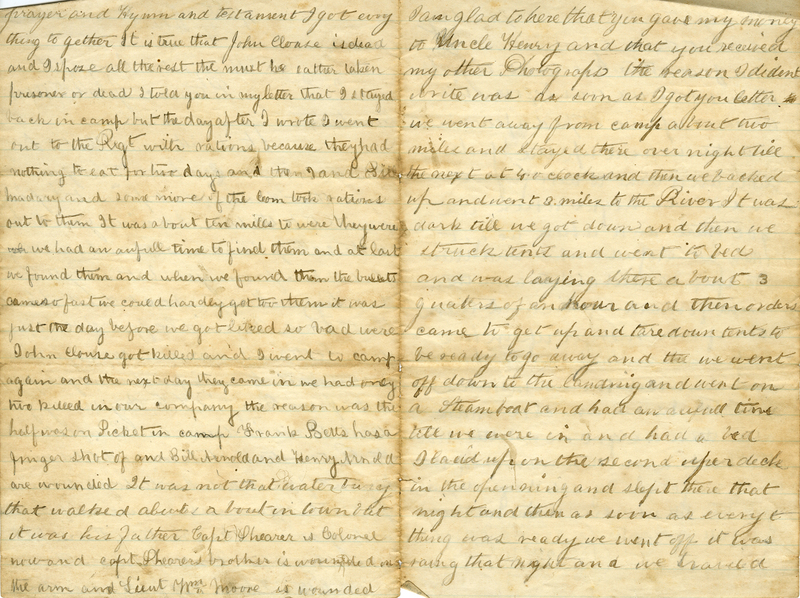 The letters provide a glimpse into the harsh realities of war in a very personal way–different than that garnered from our small collection of United States Army Medical Records. 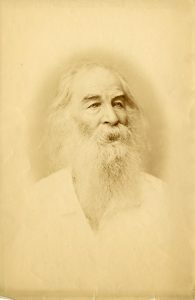 Morris’s letters also show how the fictionalized account of Inman in Cold Mountain is realistic in many ways–his character and reminiscences of battles could easily have been drawn, at least in part, from Morris’ reflections of his experience in the war. Both Morris and the fictional Inman are documented in the areas near Richmond and Petersburg, Virginia, during the summer of 1864, where several important battles were fought, including the Battle of Cold Harbor and the Battle of the Crater. As a drummer, Morris did not fight, although he endured the dangers, hardships, and sorrows of the battlefield like any other soldier. Several of his letters include graphic descriptions of skirmishes with Confederate troops, peppered with horrific descriptions of injuries. While he never outright mentions his fear or frustration, it comes through in his retelling of events. 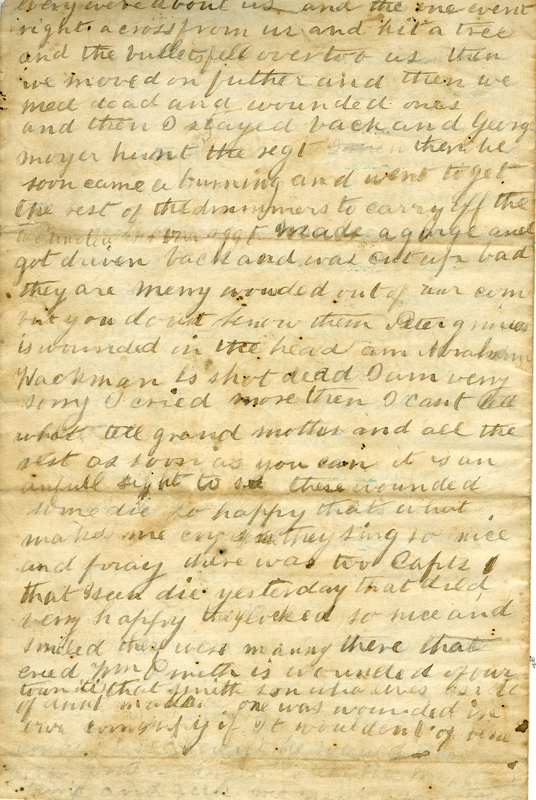 On June 4, 1864, he writes, “…I went out to the Reg’t with rations because they had nothing to eat for two days…. it was about ten miles to where they were we had an awful time to find them and at last we found them and when we found them the bullets came so fast we could hardly get to them…”. 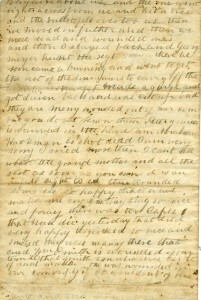 Morris’s devotion to and need for his mother and news from home is perhaps the most telling part of his story. It is particularly evident in his final letters. In the weeks leading up to his death, he described his suffering in detail and looked for comfort from his mother. On October 26, he wrote from the hospital, “I now seat myself for a few moments to let you know that I aint well for about three weeks…. If you could please send me some thick licorice of the best kind for tea…”. Then, on November 10, in his last letter, “…I am alive but not well I have been very sick and can not help myself…”. He again requests licorice for tea and also a photograph, “I want you to send me your likeness for I want to see how you look…”. I was sad to learn from a Civil War genealogy site that Morris died a few days later, on November 14 in the hospital at Point of Rocks, Virginia, after a prolonged, but unidentified illness. 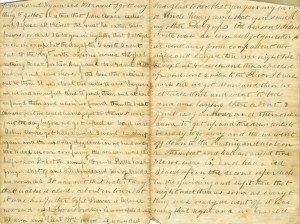 If you would like to see the Morris Manderbach Letters you may do so by contacting the SCRC. To learn more about our Civil War and other military holdings, use our new Research Guide on Military History. This guide made it easy for me to identify and explore our Civil War related collections.